That was about 6:30 p.m. Emergency crews searched all around. They closed the bridge to traffic. About 10:30, a man who lives about a mile up the bay, found the boy’s body. I know the man, one of the sweetest guys ever. He will never be the same, nor will the others who helped bring little London McCabe out of the water. The mother is in jail with $1 million bail, facing murder charges. The whole community has been grieving as the story came out. London was severely autistic; he screamed all the time. Meanwhile his dad was disabled with multiple sclerosis. The mom had posted pleas online asking for financial help and had gotten some. There were reports that she was suffering from mental problems herself. But nobody thought this would happen. According to the latest news reports, she may not be well enough to stand trial. It’s all unbearably sad for her and the whole family. A heartbroken community decorated the bridge with balloons, flowers and stuffed animals. Workers took the contributions off the bridge for safety reasons and created memorials at both sides of the road on the south end of the bridge, memorials to which people keep adding. There have been candlelight vigils, prayers and countless news reports. Teachers and mental health workers have been working to reassure worried children that they are safe, that this won’t happen to them. Public officials are talking about the need for early intervention to help troubled families. I don’t know what could have stopped this from happening, but we all feel like somebody should have done something. Those who have lived here a while recall the last time something similar happened, when Christian Longo murdered his family in 2001. Two of his children were found in the water near Alsea Bay, outside Waldport. 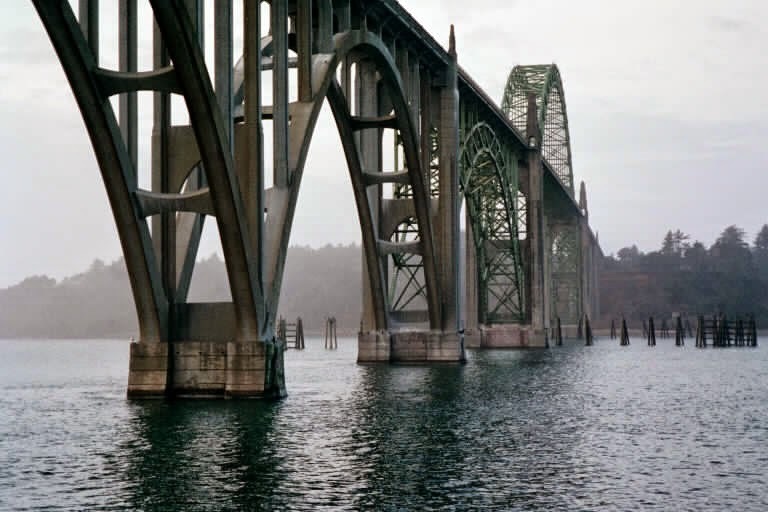 The other child and his wife were located in the water of Yaquina Bay very near where London’s body turned up. Longo is on death row now, found guilty of murder. When we drive across the bridge now, we slow our cars. We look at the water, think about what it would feel like to fall, wonder if London felt anything on the way down, if he was scared, if he felt the cold water, hoping he just felt like he was flying and it was the best time he ever had.